Follow: Mission Trip To Haiti. Hey Guys! I want to share with you all about an amazing opportunity that has been presented to me to do mission work in Carries, Haiti at the "Mission of Grace" orphanage this coming September. God has been moving my heart lately to minister to widows and orphans and I wasn't really sure how or what He wanted me to do exactly, but this opportunity presented itself and piqued my interest. When I first heard about the opportunity, I didn't respond immediately because I wanted to be sure it was a "God" thing and not an "Ayiana" thing. Within a few days, the young lady organizing the trip reached out to me and asked if it was something I was interested in being a part of. Of course, my heart lept for joy! I saw that as God confirming that it was something He wanted me to be a part of. The cost for the trip is approximately $1,300. If I'm being honest, I don't have the funds to cover this trip at the moment, but what I do know is that if it's God's will for me to be a part of this (& I do strongly believe that it is), He will provide a way. 1. Financial donations. This will help me reach my goal of $1,300. 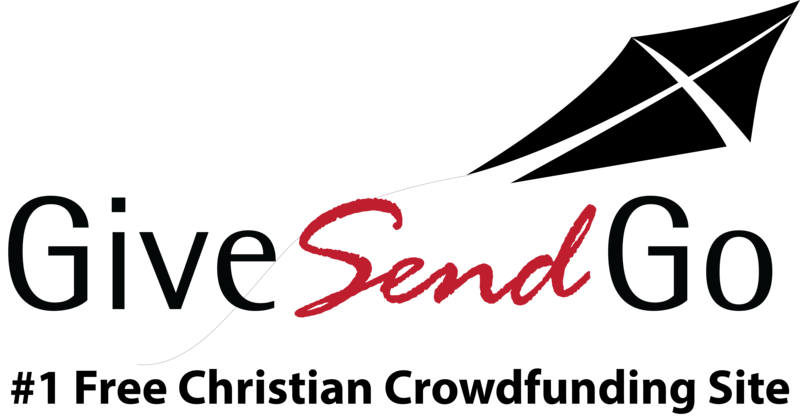 I chose GiveSendGo because they are a Christian organization and they take a much smaller percentage than other Crowd Funding websites. ALL donations will go to cover the costs of this trip and if anything is raised in excess of this goal, it will go to "Mission of Grace." 2. Share this link. Please consider sharing this link with friends and family who have a heart for missions and whose gift is giving. When the body unites as one and everyone walks in accordance with their specific gift, amazing things happen. 3. Prayer! Please pray for this mission trip. Pray that the Lord will allow the right people to be a part of the team. Pray that we will be able to effectively impact the the Kingdom of heaven with the work that we will be doing in Haiti. Please pray that we will be well prepared, for our safety and for provision. My deepest gratitude and thanks to all of you who read this and who have decided to partner with God and me, to do Kingdom work. I love you to the moon! Continue to do God's work- His light shines right through you sis! Life is already a blessing in the simple things God has provided us with. Continue to manifest in your purpose in Him! Love you, sis. You are an AMAZING woman of God, with a heart that is truly close to the broken hearted! I pray that God would use you in an awesome way, and that many lives would be touched in Haiti through your ministry! Take all of your ashes and make beauty for someone else! Love you! Love every ounce of your being. Thankful to call you a friend. Keep fighting the good fight, my love. i have always admire you, so all this makes me super proud of you.